Hi. We’re Dorm Room Fund- built by students and powered by First Round, we provide founders with a strong network of investors, world-class mentors, and a $20,000 check. Over the last 5 years, our startups that have gone on to raise $400M+ in follow on funding from top VCs such as Andreessen Horowitz, First Round Capital, Sequoia Capital and more. Together, they are worth more than $1B. At Dorm Room Fund, we deeply believe in the value of student entrepreneurs (we invest exclusively in them after all!) and understand that while students are smart, passionate, and dedicated, they sometimes need a little guidance to turn their idea into reality. That’s why we built the HQ team. The HQ team at Dorm Room Fund supports our student founders, as well as the greater entrepreneurship community, by providing them with the resources they need to succeed. 🔥 We built VCWiz, a tool to help democratize the funding landscape by connecting first-time founders with the best investors for their startup. 🔥 We built VoteCollector, our unified data store and voting platform that streamlines the investment process. Currently, in the middle of an upgrade to reach 2.0 courtesy of our talented engineer Zach. 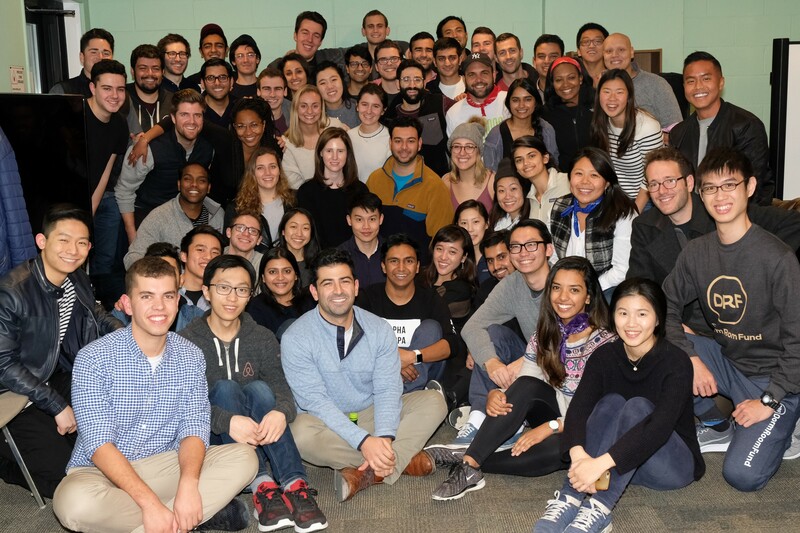 🔥 We support and advise our student founders by providing them with guidance and introductions to world-class leaders across engineering, design, marketing, fundraising, recruiting, and more. We also work actively to grow Dorm Room Fund’s presence and domain authority through industry-leading reports (5 Year Report & soon-to-come Diversity Report 😉) and community events with Silicon Valley’s leading entrepreneurs and investors. To support our mission, we’re looking for a new Engineering Partner and a new Marketing Partner! What will you do as our Engineering Partner? ⚡️ You will build software and models to support student entrepreneurs and the partners at DRF. ⚡️ You are excited about helping founders turn their dreams into reality, and be willing to experiment and learn the best tools for each job. ⚡️ You are able to move fast, take initiative, and work in startup-like environments. ⚡️ You will be part of an incredible community of 400+ entrepreneurs, operators, and innovators who support each other’s businesses, careers, and ambitions as family. ⚡️ You are an active, full-time student, currently enrolled in an accredited academic institution (Bachelor’s, Master’s, PhD, JD, MBA, etc. ), with at least one full year left in your program. ⚡️ You are willing to commit 10–15 hours a week to DRF. Working on the DRF Engineering team is a pretty unique opportunity. You get to hone your technical skills and work on real-world products that help create companies, which is pretty awesome. We build with the latest and greatest, and own everything from design to deployment. The best part is you get to do all this while learning from the inside what venture capital is like — something most engineers don’t get the chance to do. What will you do as Marketing Partner? ⚡️ You will manage the brand and marketing direction for all of Dorm Room Fund (nation-wide) with support from team members across NYC, Bay Area, Boston, and Philly. ⚡️ You will manage Dorm Room Fund’s presence in venture capital and student entrepreneurship through in-depth industry reports, educational content, and partnerships. ⚡️ You will manage all of Dorm Room Fund’s audience growth across email and social channels. ⚡️ You will advise portfolio companies on how to effectively launch and scale their products and brands. ⚡️ You will launch and scale Dorm Room Fund’s internally-developed products.